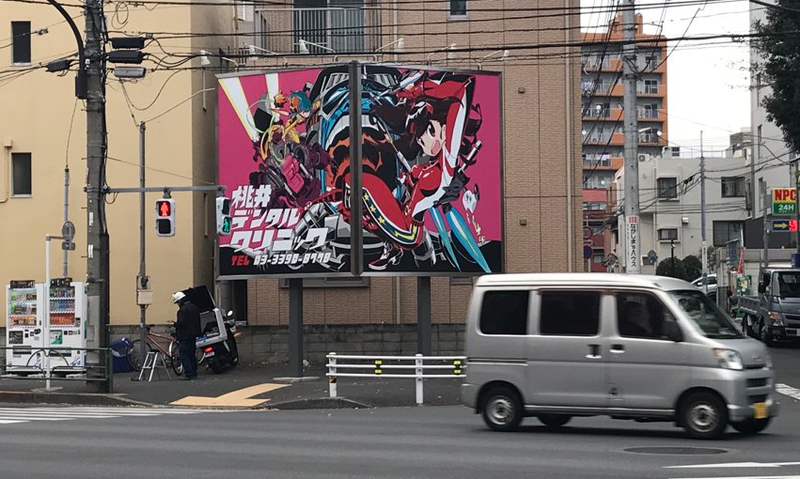 If you passed this billboard in Tokyo, you might think this is an advertisement for a new anime. You would be wrong. This is a real sign for a real Tokyo-based dentist called Momoi Dental Clinic. It went up this week, and people online have been noticing. The billboard has the name of the clinic in Japanese and includes the telephone number. It totally looks like it’s for an anime. The original illustration was done by Sushio, who designed the characters for Kill la Kill. This is very good, but I’m not sure if this is the best Japanese dentist sign.